Banana Whip 6 ripe bananas, 2 tbsp. lemon juice, 2 tbsp. 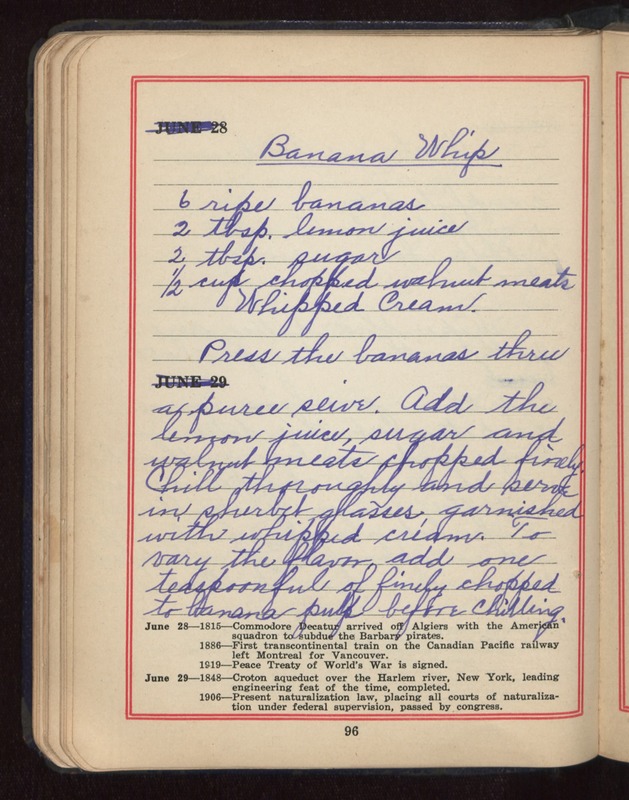 sugar, 1/2 cup chopped walnut meats, whipped cream Press the bananas thru a puree seive. Add the lemon juice, sugar and walnut meats chopped finely. Chill thoroughly and serve in sherbet glasses garnished with whipped cream. To vary the flavor add one teaspoonful of finely chopped to banana pulp before chilling.